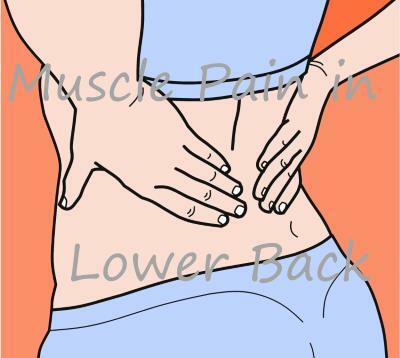 Information about treating muscle back pain by keep moving, doing your daily activities, no long bed rest, hot or cold packs, avoiding to much stress, and medication. Information about, and comparison of Far InfraRed Mats, from popular brands such as HealthyLine, Ereada, Medicrystal, UTK. 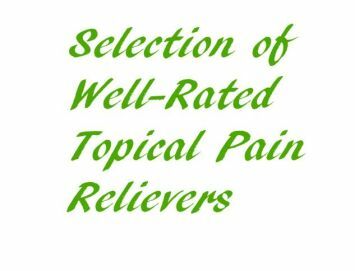 About topical pain relief and improving joint function gels, roll-on's, creams and patches, from popular brands such as Biofreeze, Stopain, Sombra, Penetrex, Salonpas, Rub On Relief, Numb Master, Bengay, Nervana, Outback and more. There's also information about an extensive First Aid Kit. About popular pain relief medicines such as Naproxen (Aleve caplets), Ibuprofen - worms live longer on it - Ibuprofen brands such as Kirkland, Advil, Motrin, Equate. Then there's Aspirin (Bayer, Ecotrin, Bufferin, Anaxin) and Acetaminophen (Tylenol) available online or over-the-counter. and more. Also do read FDA's warning. About arthritis compression gloves to handle and ease the pain and swelling in your hands due to injury, arthritis, carpal tunnel, and other chronic conditions. There's information about these gloves from companies such as IMAK, Thermoskin, Isotoner, Dr. Kay's, Copper Compression, EasyComforts and more. 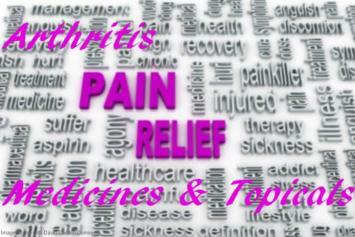 About medicines and topicals for arthritis pain relief such as Acetaminophen, to treat mild to severe arthritis pain. 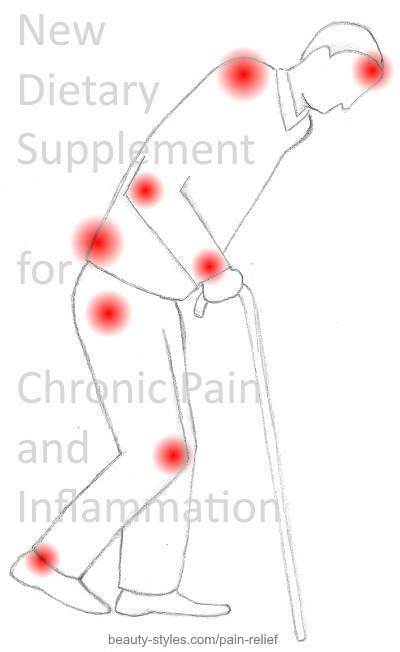 Then there are Non-Steroidal Anti-Inflammatory Drugs (NSAIDs), also reducing joint swelling and inflammation. 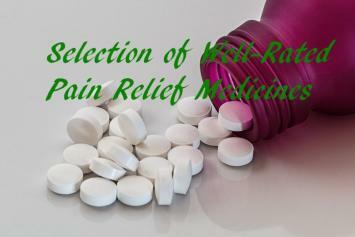 Another kind of pain relievers are the topicals containing menthol, camphor, capsaicin, salicylates, nerve blockers and more. 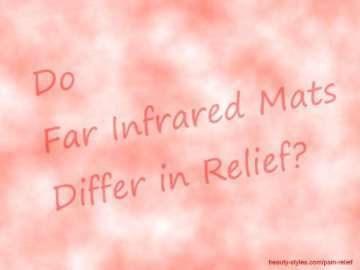 Want to find the best red light therapy devices? 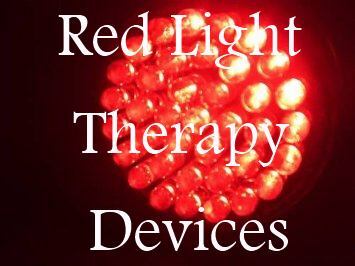 Red lights from brands such as Tendlite, RubyLux, LightStim, Nova Red, Medlight, bright Therapy, Nutraluxe and more. The best for skin care purposes and pain relief, in order of rating. Best Cold Laser Therapy Device for Professionals and Home use, such as Multi Radiance Medical Terraquant TQ Solo and Pro, and Scalar Quantum Wave Laser. To use for temporary relief of minor muscle and joint pain, stiffness, relaxation of muscle tissue and a temporary increase of local blood circulation. Abattis Bioceuticals Corp., owner of vergence naturals, announces the release in the near future of its newly developed pain relief product called "Comfort". "With Comfort, we hope to address a severely disabling condition that affects a large proportion of our population. ", says Abattis' CEO. The new nutraceutical Comfort, which contains Alpinia Galangal and Capsicum Annuum was developed by Abattis scientists to activate the endocannabinoid system and nourish endorphin release in response to chronic pain. The product will probably be available on November 26, which is Cyber Monday. The Alra Care Company announced through digitaljournal.com that it will release a new lip balm product, called Lip Remedy. We learn that the new product meets the demand from patients undergoing cancer treatment to help soothe and relieve the pain and discomfort their lips experience due to dryness and sensitivity. 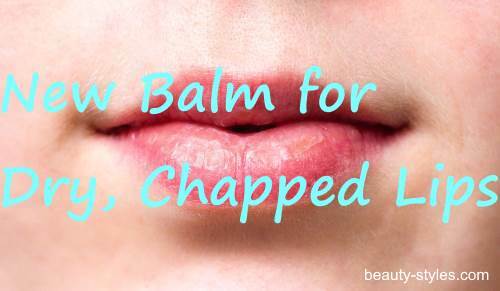 The balm that helps heal dry, chapped lips as it replenishes, hydrates and restores suppleness and softness. The lip balm contains natural emollients such as Aloe Vera, Coconut Oil, Honey and Sunflower Oil in its synergistic formulation, which provides anti-bacterial, anti-fungal, and antioxidant protection while delivering soothing pain relief for patients. It is free of added colors, dyes, fragrances, alcohol, parabens and gluten. ALRA CARE states that its products are clinically proven to help patients attenuate the effect cancer treatments have on their skin and hair. The lip balm will probably be available in October 2018. At that time we'll inform you here about pricing and where to buy. A correct sitting posture and walking posture can have great influence on your back. A specific seat cushion can be a big support when sitting. Or may be you want to have a look on popular massage chairs for office or home use. See Here Well-rated Massage Chairs to Choose From. The Earthlite company is wellknown for its massage chairs, massage and treatment tables, and accessories. You'll find here information about its three massage chair models Stronglite, Vortex and Avila. A newly developed electromagnetic pulse pain relief device, which you can wear on areas where you experience pain such as in yourback, knee or shoulder. The device mimics the body's own recovery processes to relieve pain, muscle stiffness and inflammation, using optimized pulsed electromagnetic field technology (PEMF) to encourage recovery at a cellular level so you can get back to life. See Amazon here for the Oska Pulse device. Information about dietary supplements for pain relief, VitaBack, PodiVite, WoundVite and Soothaflex. iTENS is the name of the newly developed TENS strips that work wirelessly with a smartphone app and a Bluetooth-based electrotherapy device, so there's no wiring involved. Green Light for Migraine Pain Relief? In general, when suffering from migraine you want to stay out of the light, at least that is what I want when a migraine attack hits me. When that happens to me I prefer to be in the dark and not in the light, and lying down on a bed or couch with something - a t-shirt or towel on my eyes. Usually after half an hour my migraine is gone. Harvard Medical School Researchers discovered that migraine relief effect by applying green light. Here's more on that research. New developed topical cream for pain relief named Body Calm Cream from Kerah Lane company. According to the maker, their product is made from natural organic ingredients. Information about Mobisyl cream/creme which is quite suitable for painful muscles and joints. It penetrates deep through tissue to deliver relief. New technology this Quell pain relief wearable device that can be worn during the day while active, and at night while sleeping. It intensively stimulates nerves to help you manage your chronic pain, such as back pain, fibromyalgia, and arthritic pain. TENS / EMS stimulator named PulseRelief, designed by wellknown electronics company Philips, to be used for temporary relief of pain associated with sore and aching muscles in the shoulder, waist, back and more. It should relieve chronic and painful symptoms from Arthritis, Hip Dysplasia, Back Pain, Sprains and Strains, and reduces inflammation. This is because it that way provides a more effective treatment. 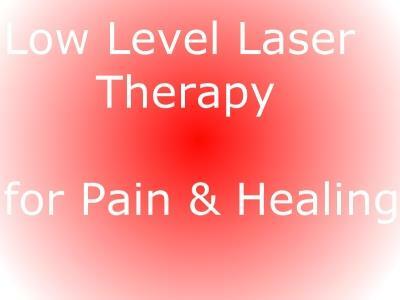 Pulsed Light has been shown in clinical studies to provide faster & more efficient cellular response than constant wave light. For this great-rated LumaSoothe light therapy for pets, see Amazon Here for best pricing, info and reviews. Best Arthritis Compression Gloves on Pinterest. Should You Care About The Expiration Date On Medicine?